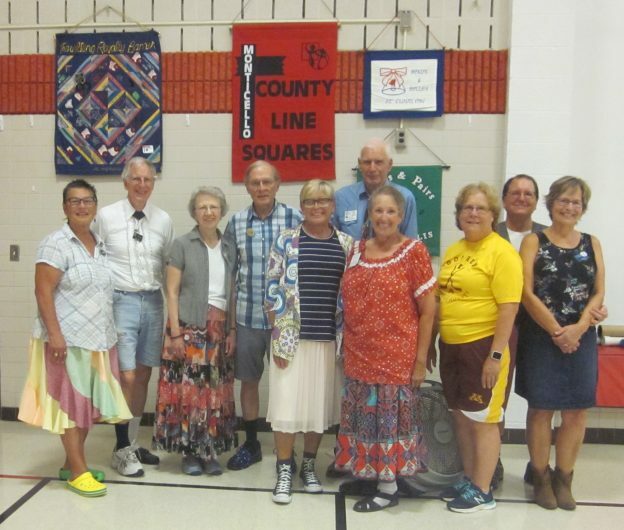 September 14, 2018 – County Line Squares “Mismatch” Square Dance, Monticello, Caller Abe Maier, Cuer Jane Simpson. 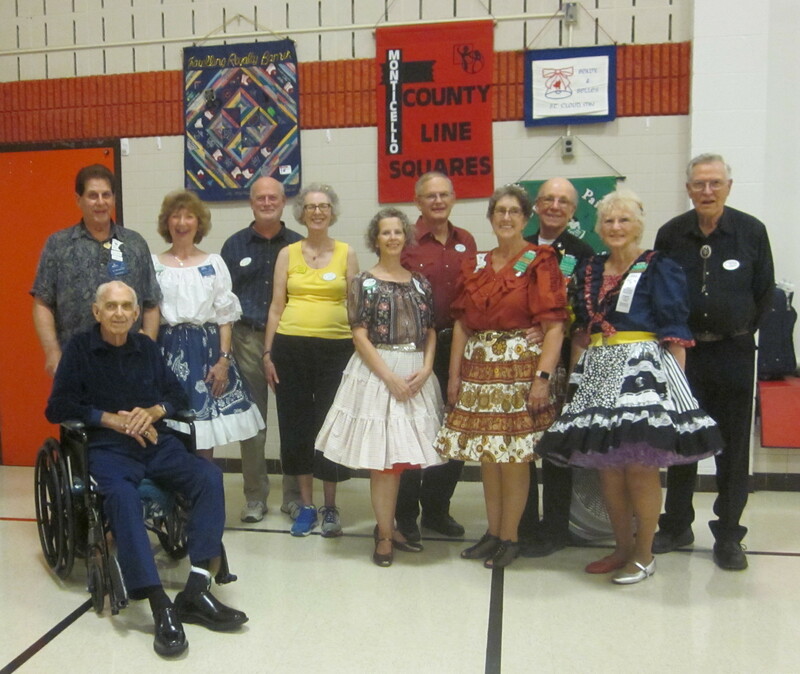 Organization members present were from Ar-Dale Dancers, County Line Squares, Dakota Grand Squares, Hot Foot Stompers, Koronis Nite Owls, Single Circles, South Metro Stars, Spares & Pairs, Triple T, Westonka Whirlers, and Wildcatter Squares (Humble, TX). 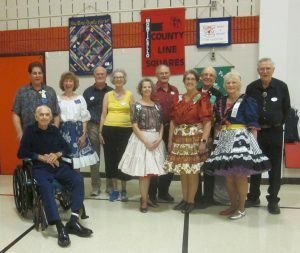 Also present were Westonka Whirlers Queen Anita and King Bill, Spares & Pairs Queen Jennifer and King Barry, County Line Squares Queen Gael and King Doug, Come Square Dance Chair Vince Dahlheimer, RoundUp Editors Jeannine and Bob Maiden, SDM Vice Chair Barry Downs, SDM Secretary Gael Zachman, SDM Executive Director LeRoy Elfmann, SDM Historian Al Martin, and SDM Membership Director Mary Kay Amberg. Single Circles claimed a County Line Squares banner (see photo above). 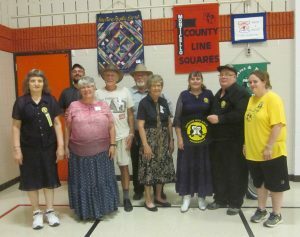 Koronis Nite Owls and Spares & Pairs retrieved their banners (see photos below).